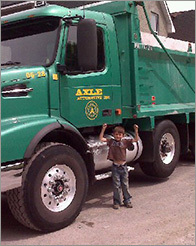 In business since 1994, Axle Automotive Inc. is the only rebuilder of CV Axles and Rack & Pinions in Eastern Ontario. Axle Automotive only rebuilds OEM cores that will meet or exceed OEM quality. 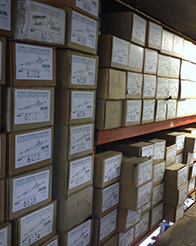 Automotive/Truck components and parts are also available at Axle Automotive for distribution throughout North America. Automotive provides cartage and excavation services with its three Tri-Axle dump trucks. Contact Axle Automotive at 613-688-0490 for more information on the goods and services listed. All information provided is provided for information purposes only and does not constitute a legal contract between Capital & Dominion Radiator and any person or entity unless otherwise specified. Information is subject to change without prior notice. Although every reasonable effort is made to present current and accurate information, Capital & Dominion Radiator makes no guarantees of any kind.